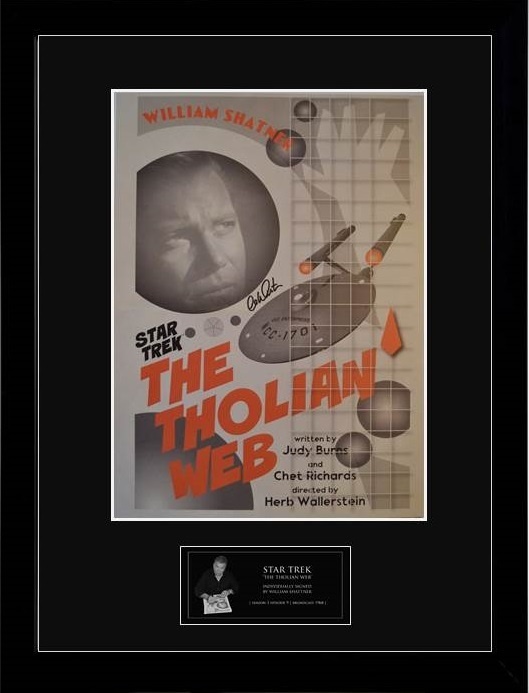 Star Trek Original Series Artwork for the 1968 episode 'The Tholian Web'. 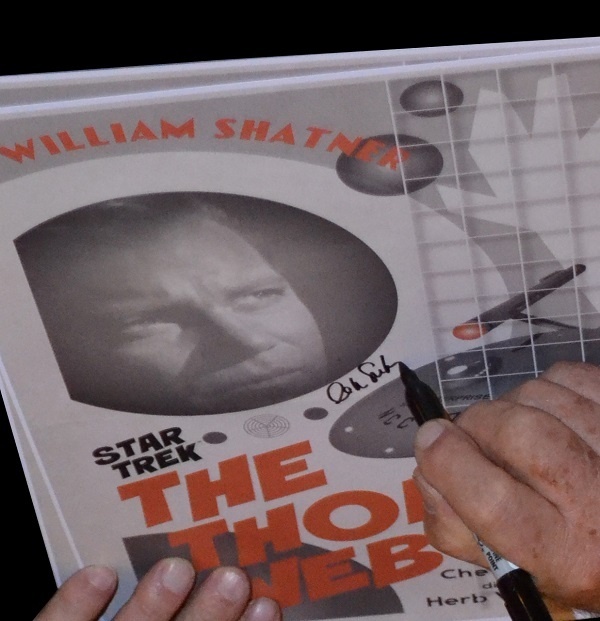 This classic episode sees Kirk trapped on a disintegrating star ship, drifting between dimensions as an alien web closes around the Enterprise. 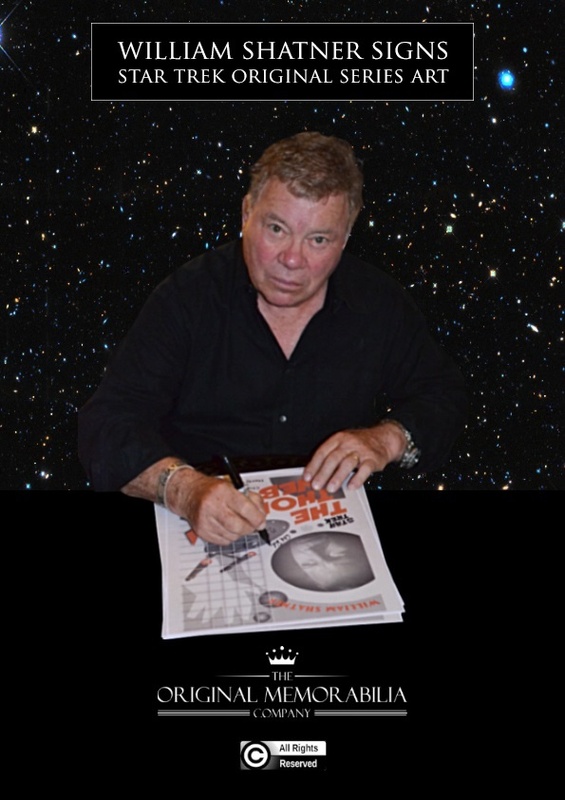 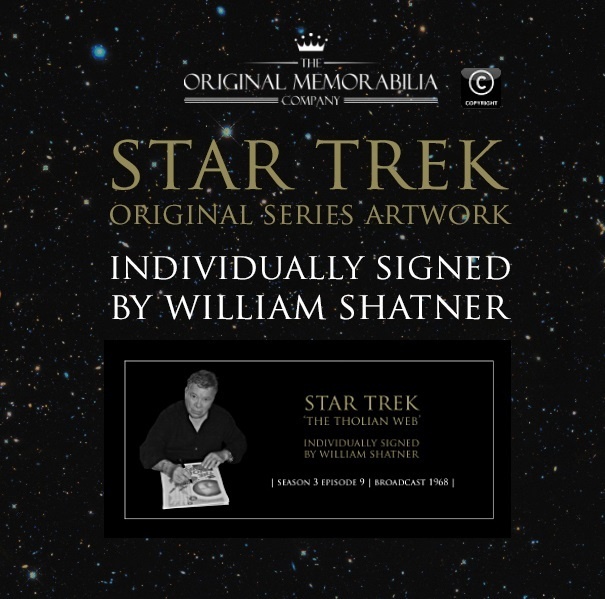 Every single print is guaranteed to have been individually and personally signed by William Shatner in high density black ink at an official signing for 'The Original Memorabilia Company'. 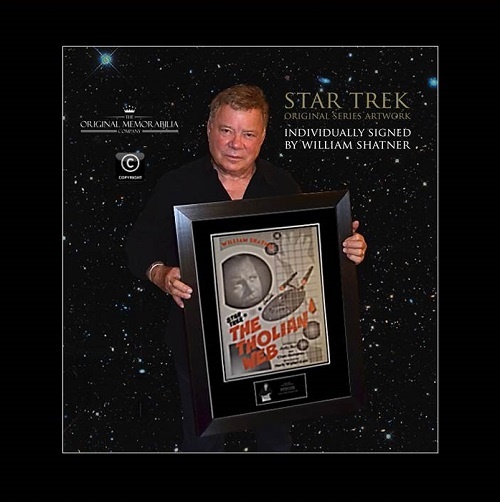 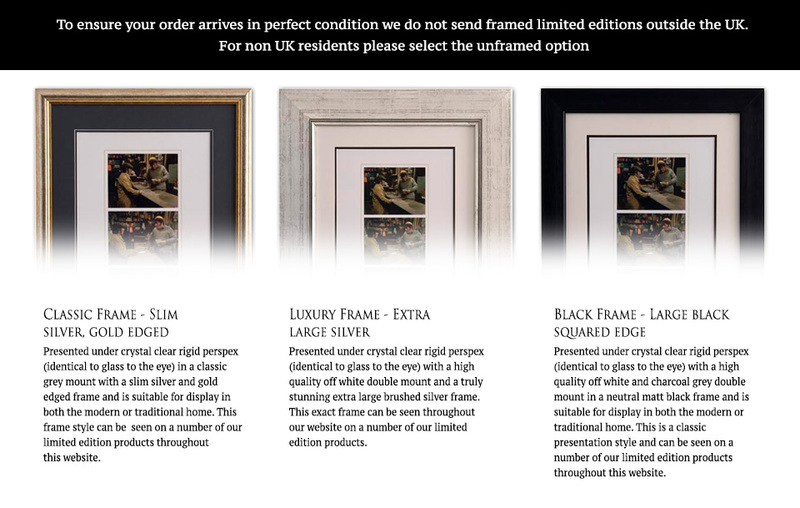 Your purchase is safeguarded by our unique Document of Ownership & Certificate of Authenticity that is provided with every purchase which will include a photograph of William Shatner signing 'this artwork'.